I have been looking forward to reading Henry Ehrlich’s new book, Food Allergies: Traditional Chinese Medicine, Western Science, and the Search for a Cure since I heard him speak at the Food Allergy Bloggers Conference in 2013. At that event, Henry began to tell the story of the research that Dr. Xiu-Min Li of Mount Sinai School of Medicine was doing, and her search for a cure. Did I just use the word “cure?” Yes, I did. It’s a word that’s not often used when discussing food allergies; the usual treatment is to avoid the foods that make you sick, and the medical response should an accidental exposure occur is epinephrine, but the word “cure” must be used very carefully when discussing food allergies. And yet, that is what Dr. Li is pursuing – a cure. At its core, this is a book about hope. As I read it, I was filled with optimism that someday it might be possible to say there is a cure for food allergies. When my son was diagnosed with multiple food allergies more than a decade ago, he asked if there was a pill he could take. Of course, there wasn’t – and still isn’t – but perhaps someday he will be able to be desensitized with herbs. The story that Henry tells is about how Dr. Li came to pursue her research, the research itself, and what it might mean for the future. The book contains scientific details and terminology – and therefore not a quick read – but Henry aims to portray the research for a lay (non-medical) audience without leaving out the details. As someone who likes to form my own opinions based on the facts, I appreciate that. 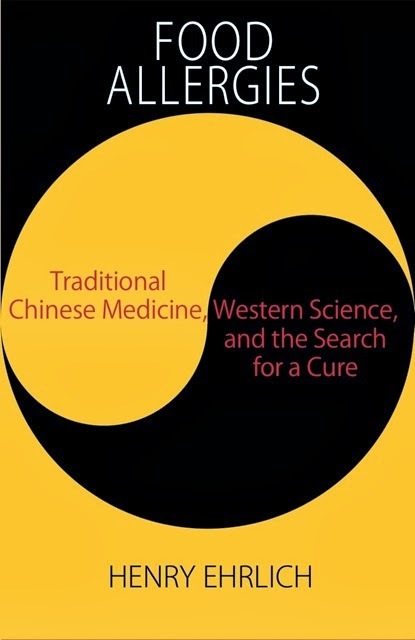 One of the most fascinating things I learned from the book was that even my son – who suffers from eosinophilic esophagitis – could be a potential candidate for Dr. Li’s herbal treatment. In fact – rather than targeting one allergen at a time – the treatment focuses on multiple food allergens. I am using the word treatment – another word that must be used carefully – as the work being done today is via clinical trials. The story doesn’t yet have an ending – it will take some time before we know for sure whether the research Dr. Li is doing will translate to a long-term cure for those with food allergies. I, for one, am optimistic and looking forward to a happy ending. By the way, I really love the cover, don't you?